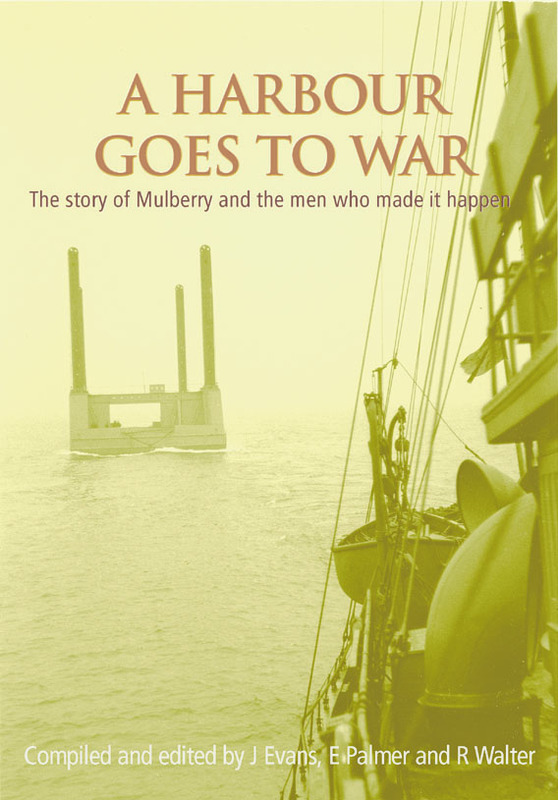 The Garlieston’s Secret War project began in 1999 when Mrs Jane Evans of Penkiln Farm advertised in the Galloway Gazette for a publisher to work on a book concerning the D-Day Mulberry Harbours. In one of those strange quirks of fate, a publisher who had recently moved to Garlieston responded to the advert and so the collaboration began. Mrs Evans’ objective was to record the somewhat forgotten role played by Scotland in the development of Mulberry Harbours. That the harbours were developed and tested in the Scottish Solway around Garlieston was not well known. Publication of the book was underwritten by Garlieston residents and over several years sold 3000 copies. Quite an achievement. An exhibition was also mounted. It began in the dining room of Garlieston’s Harbour Inn and moved to the Forteviot [church] Hall in subsequent years. Allan Beckett, designer of the floating WHALE roadway and the associated kite anchor, re-visited Garlieston and the exhibition at nearly 90 years of age.